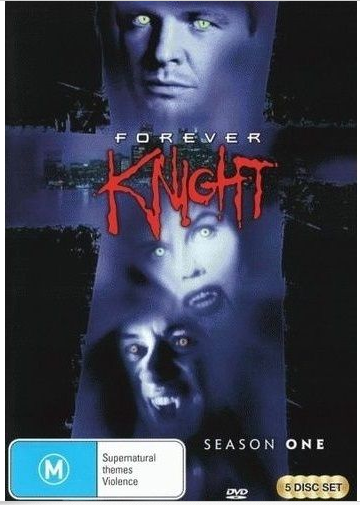 Forever Knight might sound like a name of another crappy spin-off to the classic show, Knight Rider (1982 - 1986), it is actually a vampire themed cop show from the 1990's and from Canada. This show is about a vampire named Nicholas Knight who is also a cop and a damned good one at that as his vampire abilities help him spot clues and criminals, he can also take a hit or two due to conventional weapons not being able to kill him. Searching to stop crime is only a side quest, his real goal is to find the cure to his vampirism and make himself human once again as he is sick dining on blood and killing people, he also deeply regrets doing all the stuff he has done in the past. This show might sound totally '90's but is it a show that should've stayed back in the 90's? (Click on "Read More" to read the full review). The premise of this series is very intriguing and enough to draw you in but if you are expecting a deep and consistent storyline, prepare to be a bit disappointed as after the pilot, the series becomes very episodic with very little main story progression. I didn't end up being bothered about the lack of main story as I'm here to watch Vampire Colombo solve murders and deal with modern day life in the 20th century... Which is now not so modern. The writing in this series is not the most intelligent but it is very interesting and entertaining, so you can turn your brain off and relax for this one. Despite this series being heavy on crime drama, it is written in a way to where it is very easy to follow, yet doesn't treat you (the viewer) as idiots and it does get very addicting to the point where you'll binge watch this show. I wouldn't say that I enjoyed every single episode in this series, there were some episodes that were incredibly stupid due to having unbelievable plot (the irony in me saying that is big), insulting twists and drama, and the characters even acted out of place to where it made you dread the episodes that follow those poor excuses of television vampire cop drama. 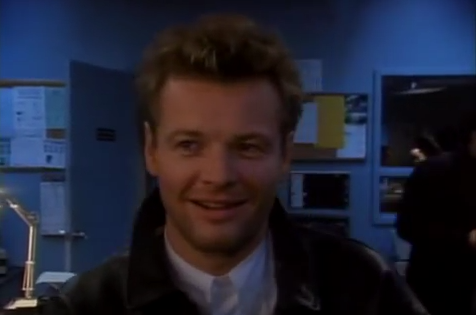 Each episode has Nick having flashbacks to times that coincidentally share a similar theme to the case that he is working on and this is where the show becomes ultra cheesy. The flashbacks, while cheesy to the point of raising your cholesterol, are entertaining for the most part. 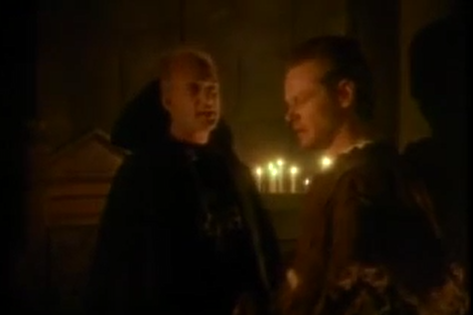 You do get some of the shows strongest moments in some of them but some of the flashback scenes can get a bit much and makes me feel like I'm watching Touched By An Angel (1994 - 2003)* but with vampires instead. The main story that hooks you into the show is interesting and entertaining to a point and I really got into it, sadly it fizzles out quickly after the first two episodes, here's hoping that it is expanded upon from season two onwards (I haven't seen those yet, so no spoilers). The characters in this show are very interesting and have enough character and back story to them to where you'll really end up giving a damn about them. The characters also have some really good chemistry together and all the main characters don't feel like they are unimportant to the show. The acting in this show is very B-grade, has some hilariously bad forced acting in some scenes, and the acting can also get a little inconsistent but you will not be hating this show because of that, rather you'll be enjoying the acting because of that. Seeing as this is a vampire cop show, you do get some action of both the cop show action stereotypes such as gun fire, fist fights, and mixes it in with the vampire action stereotypes such as, flying around, biting, throwing people into spiky things, and disintegration. The combination of the both makes for some very exciting moments and also for some intense moments as well. 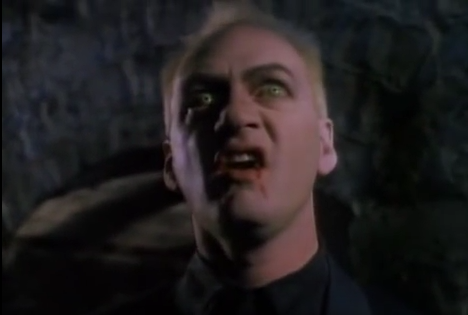 The special effects in this show have aged for sure but they are still quite well done for what budget this show had and it showed off Nick's vampire powers really well. Some of the effects have aged a bit too much to where it is a bit too much to look at but the effects that I'm talking about were all the ones done with computers as opposed to the effects done the old fashioned way. The thing I found to have aged the most is the style of camera they used as it makes the show look a little cheap due to the foggy style of the camera. The sets in this series are pretty cool, I really like the cold, dangerous look of the streets and the warm, mystique looks of inside the buildings, and I even liked the sets from the flashbacks as while those segments are cheesy, the sets look pretty good and really set a good mood. Speaking of moods, all of the sets in this show set their own unique mood and thus helps make this a very atmospheric show and this atmosphere helps to make this show enjoyable to watch at any point of the day/night. Overall, this is a very interesting, entertaining, easy viewing show that'll sink its fangs right into your neck and turn you into its bride. This show is very ideal to those who are massive fans of cult movies and television, the people that watch only the new and up to date crime dramas need not apply to watch this one. Addicting vampire cop drama. *Note: How in the blue hell did Touched By An Angel last so long? That's a show that's enough to convince the whole Vatican to turn Athiest.